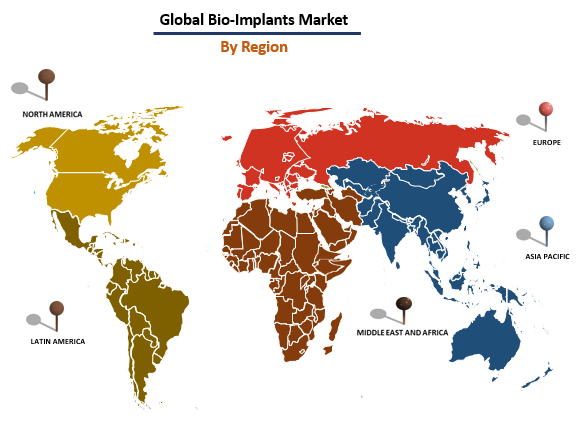 The global bio-implants market was worth around US$ 86.4 Billion in 2018. Bio-implants are prostheses that are used for replacing, supporting or enhancing a biological structure. They are made up of different biosynthetic materials like collagen and tissue-engineered products like artificial skin. Bio-implants are majorly divided into three categories: biological implants that constitute bioartificial organs, cell therapy and tissue engineering; biologized implants that comprise of in-vivo cell lining, technical implants and biohybrid systems; and biofunctionalized implants that include surface-functionalized implants and drug-eluting stents. Bio-implants have been planted in various spheres of ENT and have resulted in some of the most successful surgical outcomes. They help to regularize physiological functions of patients which allows them to lead an efficient life. 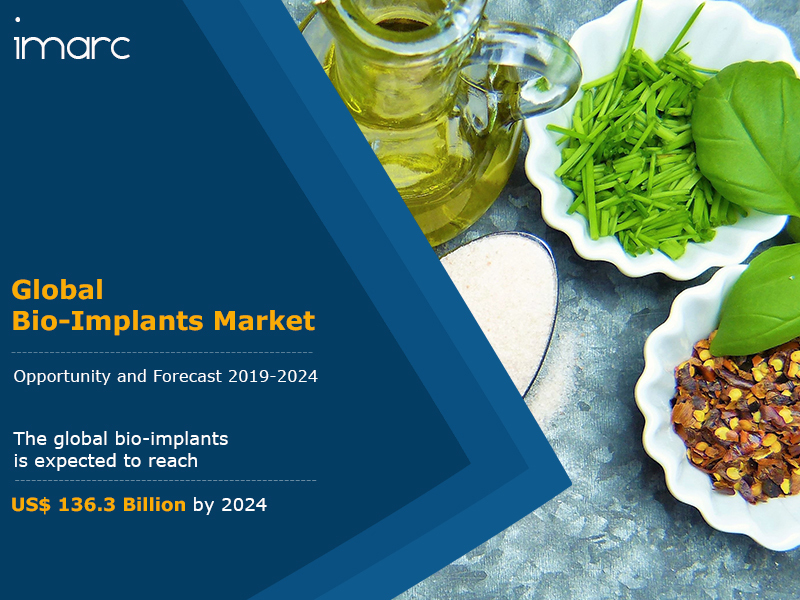 The growth of the bio-implants market is driven by a rise in the geriatric population around the world which is the largest end-user of these implants. Moreover, technological advancements and increasing awareness about the success of cosmetic implantations are providing a positive thrust to the market growth. Further, as dental implants are one of the biggest contributors to the growth of the bio-implants market, an increase in dental issues across the globe is aiding the market growth. Additionally, cardiac pacemakers and orthopedic artificial implants are in constant demand owing to the growing prevalence of cardiovascular and orthopedic conditions. Looking forward, the market is projected to reach a value of around US$ 136.3 Billion by 2024, expanding at a CAGR of around 8% during 2019-2024. Based on the type of bio-implants, the market has been segmented into cardiovascular implants, dental implants, spinal bio-implants, orthopaedic implants, ophthalmic implants and others. Based on the type of material, the market has been segmented into metallic, ceramic, polymer and biological. Based on the origin, the market has been segmented into allograft, autograft, xenograft and synthetic. Based on the mode of administration, the market has been segmented into non-surgical and surgical. Based on the end-users, the market has been segmented into ambulatory surgical centers, clinics, hospital and others. The competitive landscape of the market has also been examined with some of the key players being Abbott Laboratories, Boston Scientific Corporation, Stryker Corporation, St. Jude Medical Inc, Medtronic Inc., Smith and Nephew, Wright Medical Group, Zimmer Biomet, Dentsply Sirona, Invibio Limited, Straumann, Danaher Corporation, Cardinal Health, Johnson & Johnson, B. Braun Melsungen, LifeNet Health, Inc and Endo International plc. How has the global bio-implants market performed so far and how will it perform in the coming years? What is the breakup of the global bio-implants market on the basis of region? What is the breakup of the global bio-implants market on the basis of material? What is the breakup of the global bio-implants market on the basis of origin? What is the breakup of the global bio-implants market on the basis of mode of administration? What is the breakup of the global bio-implants market on the basis of end-users? What are the various stages in the value chain of the global bio-implants market? What are the key driving factors and challenges in the global bio-implants market? What is the structure of the global bio-implants market and who are the key players? What is the degree of competition in the global bio-implants market?